All the best spots for your next breakfast meeting. Aging has always been a tough pill to swallow in this town. You’re either hot or you’re not, and if you’re not, time to start sleeping with vegetables on your face at night. It’s a daily struggle that only local Benjamin Button, Jennifer Aniston, has mastered. And in the restaurant world, aging is arguably an even tougher hand to be dealt. Splashy openings are easy. Longevity is the tough part. And keeping that bar set high when it so quickly wants to slip down. The bar is slipping at Bottega Louie. In 2009, Bottega’s opening was monstrous. It was the middle of a nationwide recession and DTLA was a shell of the revitalization hub it is today. But along comes this gigantic, mature, yet everyday Italian eatery in the heart of downtown. Gamechanger would be the accurate term. 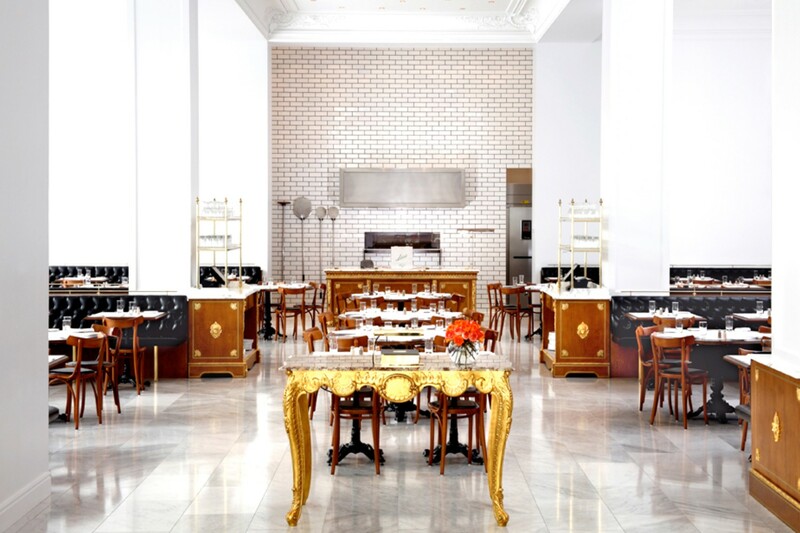 But a few years later (and with a major influx of competition), Bottega Louie hasn’t exactly been keeping up with the Joneses. The space thankfully will always be impressive. The enormous, white-walled dining room defines the meaning of grand and reminds us all what the world’s bougiest psych hospital lobby probably looks like. The service is still solid too, with eager servers who easily cover more ground than any other wait staff in the city. Here’s to hoping you all got orthopedics for Christmas this year. But unfortunately, that once promising menu has fallen to the ho-hum levels of so many other aging restaurants. Nothing is bad, but nothing is great. And that’s incredibly disappointing. The good news for Bottega Louie is that it still resides in one of the more thriving area of downtown, with as good of foot traffic that exists in this city. But if they plan to rely on that notion alone, we fear Bottega might eventually slip even further. Raise that bar back up Bottega and you’ll be downtown king again before you know it. Topped with everything that humans like, this pretty looking pizza is all curb appeal, nothing else. Where is that nduja?! If anyone can taste it anywhere in this bland dish, please message us. This Italian seafood stew has some good flavors going for it, but head to Connie and Ted’s for the real deal. These are actually pretty darn delicious. But worth $13 for about seven of them? No. You can’t really screw these up, but for $30, they need to be a whole lot better than this. A Bottega specialty that are beautiful to look at behind the glass. You won’t be disappointed if you eat some, either.